Moving to a new city can be stressful, and one thing that makes the transition a little easier is the promise of a high-paying job waiting for you when you arrive. If making more money is your biggest motivation for relocating, here are the U.S. cities where you'll currently find the most six-figure-salary employment opportunities, as reported by Thrillist. The job search site Ladders put together the list below after sifting through its database of jobs of posted in September 2018. San Francisco tops the list in terms of the number of open positions paying $100,000 a year or more, with 28,560 high-paying jobs available. New York is the runner-up with 24,068 open jobs, followed by Washington, D.C. with 17,366, and Boston with 13,968. Even if you have a better chance of earning a higher salary in one of these cities than you do in your hometown, your new paycheck will only get you so far. 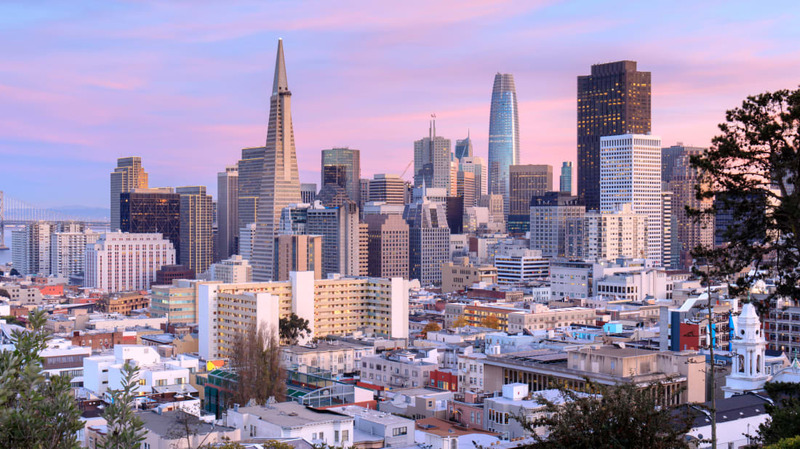 San Francisco, for example, may have some of the best-paid residents, but it's also the most expensive city to live in in America, with a one-bedroom apartment in the city costing about $3600 a month on average. New York, D.C., and Boston, also have some of the highest rent prices in the country. But not every city on Ladders's list comes with a high cost-of-living that will cancel out your salary bump. More affordable cities, like Philadelphia, Atlanta, Minneapolis-Saint Paul, and Phoenix, Arizona appear on the round-up, but the trade-off is that each location has fewer than 10,000 six-figure jobs currently available. If you're planning a move in the near future, you can check out the full list of lucrative relocation options below.